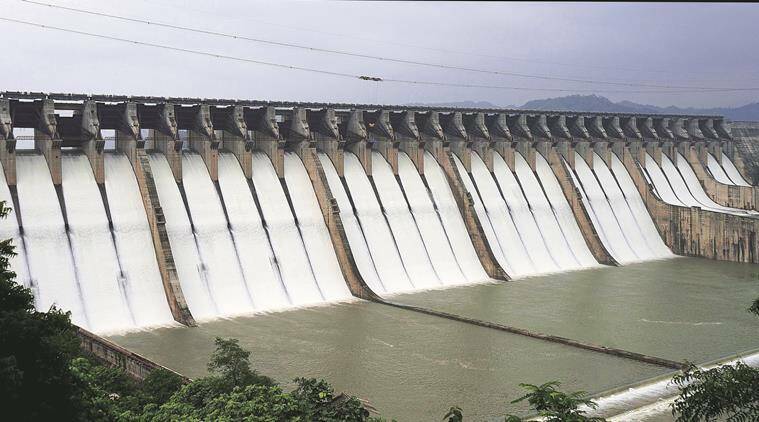 The decision has come months after the government, faced with acute shortage of water in Narmada dam, decided to discontinue the supply of water for irrigation of summer crops in March 2018. Faced with a severe monsoon deficit, the state government on Thursday decided to release Narmada water into the canal network in order to save the standing Kharif crop across the state. “The government has taken a very important decision to release water into the Narmada canal from midnight on Thursday. This has been done to save the standing crops in regions that have seen a rain deficit this monsoon,” an official release from the government stated. A cabinet meeting held under the chairmanship of Chief Minister Vijay Rupani on Thursday decided to release the water which is likely to help in the irrigation of crops in the Narmada command area of Saurashtra, Central and North Gujarat regions. As on September 4, 2018, farmers in the state had sown Kharif crop in over 79 lakh hectare which includes 27 lakh hectares of cotton, 14 lakh hectares of groundnut, 8 lakh hectares of paddy and 4 lakh hectares of castor. In Saurashtra region over 37 lakh hectare of land is sown with Kharif crops, North Gujarat with 15.6 lakh hectares and East-central Gujarat with 16.5 lakh hectares. The government also announced that it will give Narmada water to paddy growing farmers in and around Ahmedabad district through the Fatewadi and Kharicut canal networks that are not part of the Narmada command area. This monsoon Ahmedabad district has received only 39 per cent of its annual rainfall of 714 mm with the state receiving only 74 per cent of the season’s average rainfall of 831 mm. Certain regions of the state have received an even lesser quantum. For instance, Kutch received only 26 per cent, North Gujarat 42 per cent, East-central Gujarat region 67 per cent. The government also plans to fill village ponds using the Narmada pipelines in several parts of North Gujarat. Once these ponds are full, the water can then be used for irrigation purposes, the government added in the release.